No doubt everyone is busy packing up those last Christmas cards for the fast approaching Oct. 31st deadline! I have some lovely cards to share with you this week that should get you in the mood to switch gears back to everyday designs. This week’s inspiration comes to us courtesy of Lisa in North Carolina. Lisa blogs over at Lisa E. Design Blog so be sure to pay her a visit and of course leave her a shout out in the comments section here too! Thanks for sharing Lisa! I love your cards. 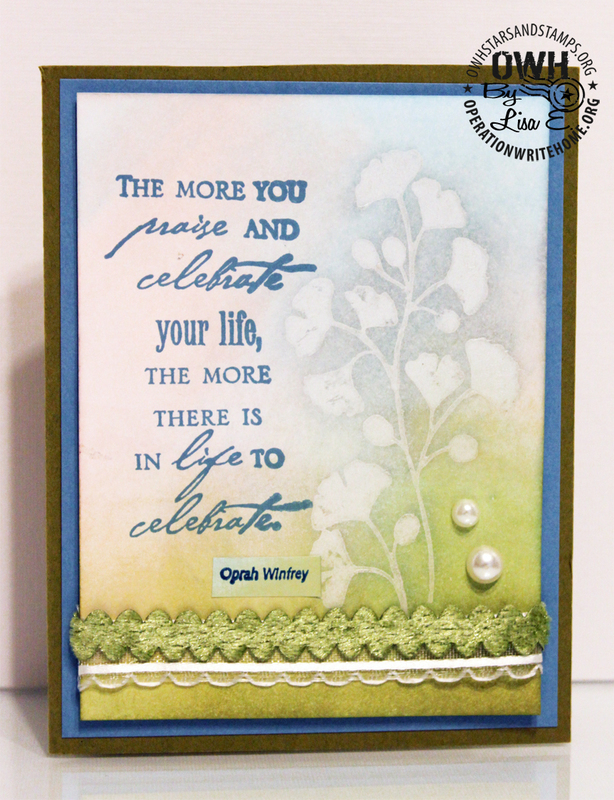 That shade of blue is pretty… (on the Oprah card) … I can sure see why it is a favorite! Beautiful work!!! 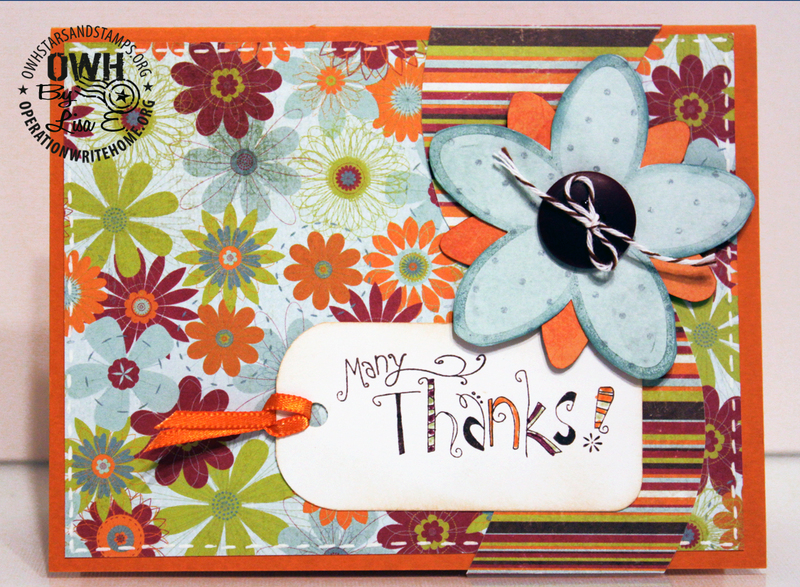 Lisa – anyone would be cheered by receiving one of your cards! 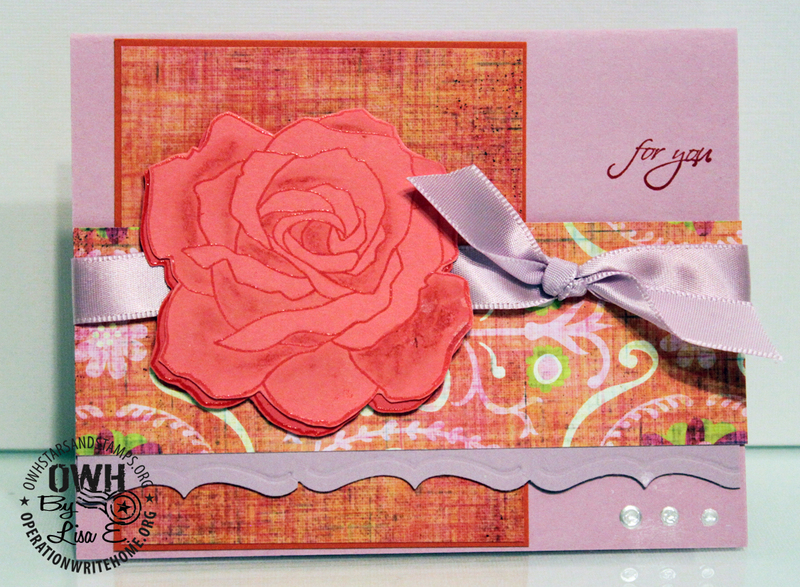 I love the paper you choose and how you put them together to make such attractive cards. Thanks so much for sharing! Keep those linens under the bed where they belong! Beautiful cards Lisa! You have a great eye for combining colors and patterns. 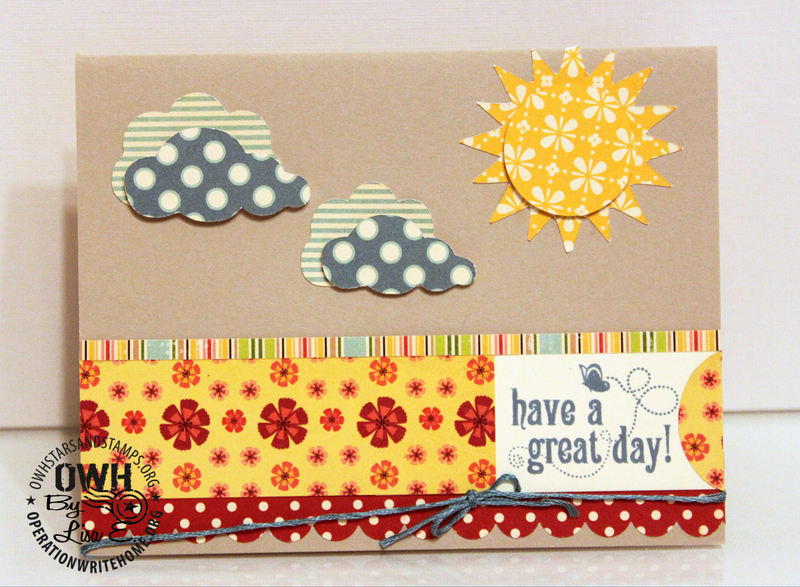 My favorite is the "Have A Great Day" card… those polka dot clouds are so playful and all the patterns work so nicely together. Thanks for letting me share your OWH story and your cards here this week. Lisa, I love your cards! 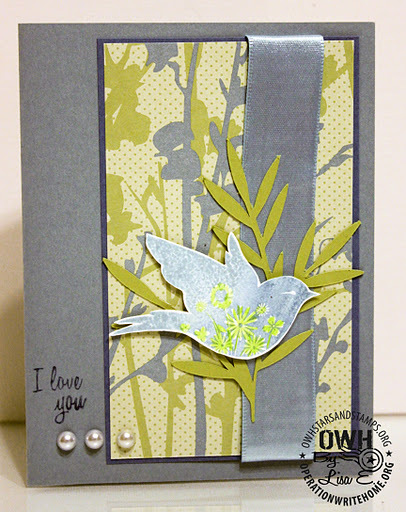 The Patterned paper on the clouds and sun are so cute….love the colors.They are all just great! Thank you for sharing.